November 5, 2007: This website is an archive of the former website, traprockpeace.org, which was created 10 years ago by Charles Jenks. 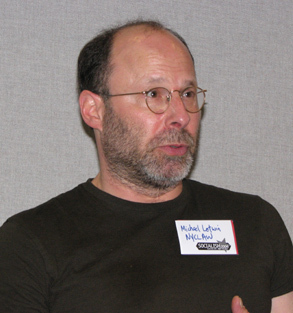 It became one of the most populace sites in the US, and an important resource on the antiwar movement, student activism, ‘depleted’ uranium and other topics. 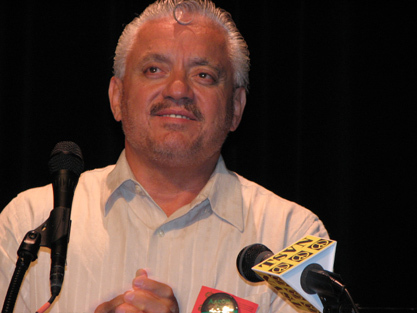 Jenks authored virtually all of its web pages and multimedia content (photographs, audio, video, and pdf files. As the author and registered owner of that site, his purpose here is to preserve an important slice of the history of the grassroots peace movement in the US over the past decade. He is maintaining this historical archive as a service to the greater peace movement, and to the many friends of Traprock Peace Center. Blogs have been consolidated and the calendar has been archived for security reasons; all other links remain the same, and virtually all blog content remains intact. THIS SITE DOES NOT REFLECT THE CURRENT AND ONGOING WORK OF TRAPROCK PEACE CENTER, which has reorganized its board and moved to Greenfield, Mass. To contact Traprock Peace Center, call 413-773-7427 or email. We’ll post a link to its new website when it goes online. 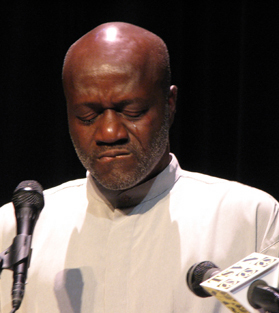 Charles Jenks is posting new material to PeaceJournal.org, a multimedia blog and resource center. You may contact him by email. 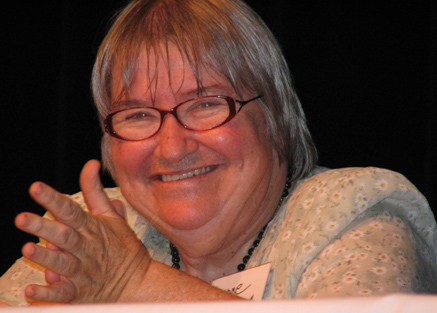 Defense lawyer Lynne Stewart – who is facing 30 years in prison after being unjustly convicted of aiding terrorism – joined Mostafa Omar, founding member of the Committee on Solidarity for the New Movement for Democracy in Egypt; former death row prisoner Shujaa Graham, Mexican American Political Association President Nativo López, and International Socialist Review editor Ahmed Shawki as speakers to the rally. 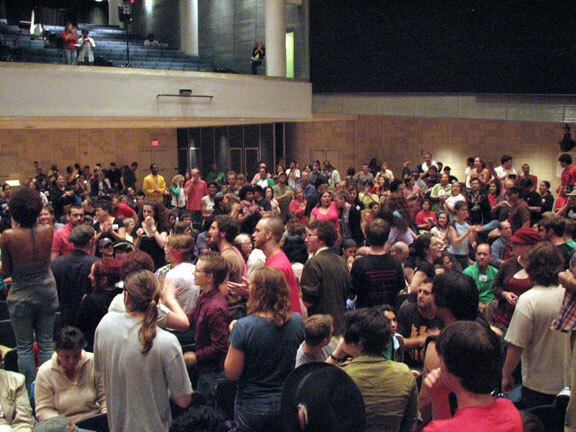 Over 1000 attended the rally, which was moderated by Sherry Wolf, a member of the International Socialist Review editorial board. 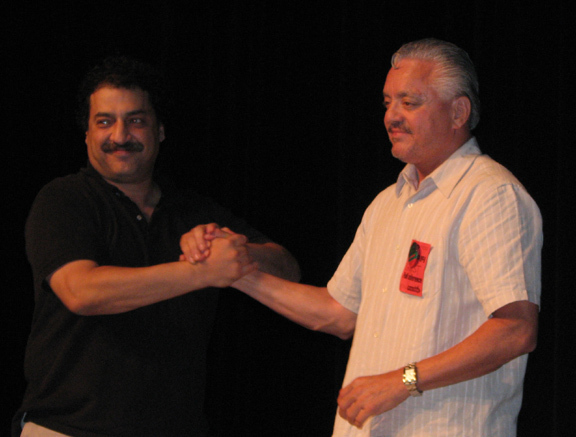 Audio produced by Traprock is available for radio airplay, without prior permission, provided that the radio station notifies Traprock of the airing and provides attribution to Traprock Peace Center and Socialism 2006 sponsors, and notes during broadcast that all rights are reserved. All other public use requires prior permission. Individuals may download mp3 audio files for private use only. 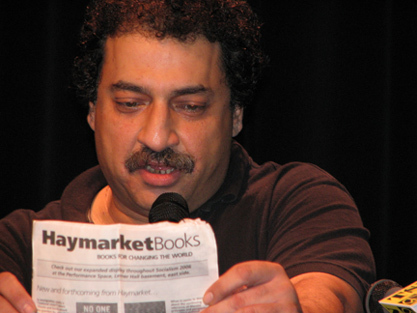 Socialism 2006 was sponsored by the Center for Economic Research and Social Change, publisher of International Socialist Review and Haymarket Books. It was co-sponsored by the International Socialist Organization, publisher of Socialist Worker and Obrero Socialista. If the program does not play during download, try right clicking the link and saving the mp3 to your computer, and then playing it after download. 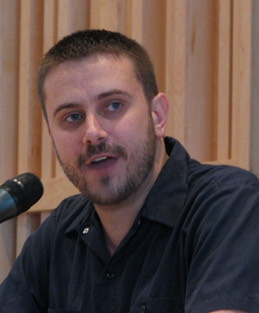 Jeremy Scahill on the Myth of Humanitarian Intervention 47:08 minutes – 21.6 mg – June 24, 2006. 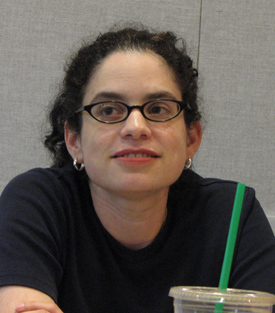 Elizabeth Wrigley-Field, Charles Peterson and Charles Jenks (moderated by Monique Dols) on “Free Speech and the Movement Against Military Recruitment” 63:26 minutes – 29.1 mg – June 23, 2006. (We hope to add photos of this panel later.) Charles Jenks’ prepared remarks. 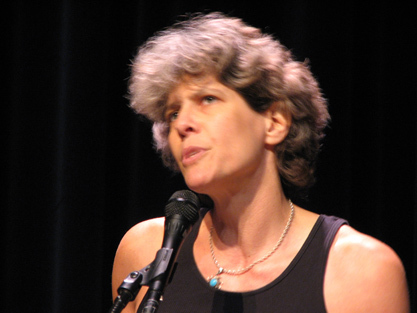 Annie Zirin and Michael Letwin on “Iraq: Graveyard of U.S. imperialism?” 58:29 minutes – 26.8 mg – June 24, 2006. 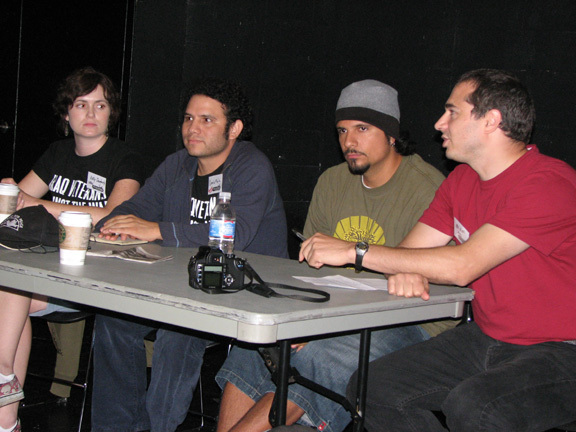 Kelly Dougherty, Camilo Mejia and Pablo Paredes (moderated by Eric Ruder) on “Soldiers and Familes Against the War” 69:18 minutes – 31.8 mg – June 24, 2006. 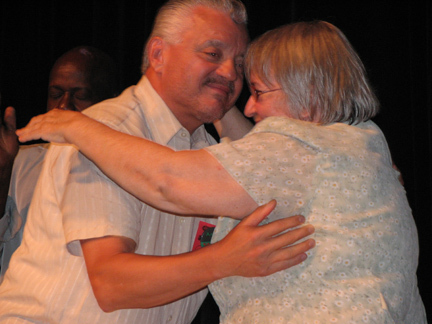 Sherry Wolf, Mostafa Omar, Lynne Stewart, Shujaa Graham, Nativo Lopez and Ahmed Shawki speaking at the Socialism 2006 conference rally 78:55 minutes – 36.2 mg – June 24, 2006. See coverage with transcripts at Socialist Worker.